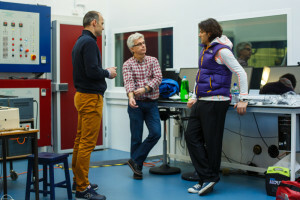 Georgios, along with human physiologists Dr Andreas Flouris from the University of Ottawa in Canada, Professor George Havenith from the University of Loughborough in the UK and a number of scientists from the University of Thessaly in Greece, have started their data collection for the purposes of their scientific research plans. Dr Andreas Flouris and Georgios are the lead scientists of this research endeavour, one of the few such field projects to ever be pursued under the particular environmental conditions of the Sahara. 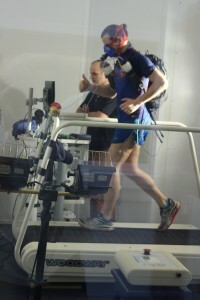 At the present time, heat chamber studies have been completed at the Environmental Ergonomics Research Centre at the University of Loughborough. Andreas will be joining Georgios in the Sahara in a scientific capacity where he will continue the data collection, and their research will continue upon their return from the desert. The underlined scientific objective of this international collaboration is the further elucidation of the mechanisms through which the human body responds and adapts to the extreme environmental stressor of heat. For more information on the particulars of their research please see our earlier post on Dr Andreas Flouris. Less than 1 month until the start of the race!